The DVDs of Senior Asian Championships Astana 2017 contain the complete Team Competition, All Around and Apparatus Finals. 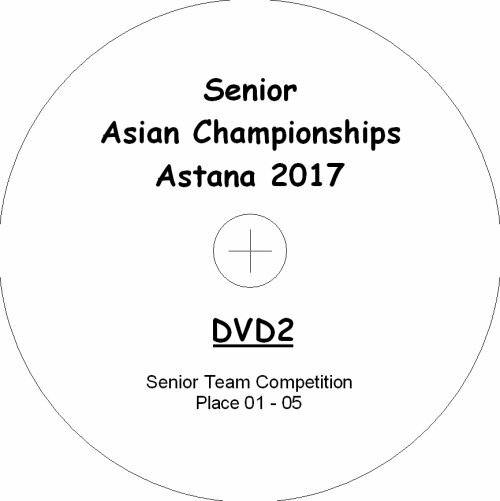 Also the Opening & Medal Ceremonies, Gala-Show and Training & Warm-Up have been filmed and are on the DVDs. Senior Apparatus Finals incl. Medal Ceremony.